« The future of Banking in New Zealand –Your money Your risk ? Auckland film studios public losses private gains ? Much of New Zealand corruption is based on the lack of due diligence and ignorance . we are looking into the Auckland film studios at the moment and give this as an example. Consultants brought in to ” advise ” the council set up a company. The council eventually became minority share holder in this company ( later called Auckland film studios ) . the majority shareholder was Tony Tay trust Limited which later sold to a new company Tony Tay film Limited of which Tony Tay Trust Ltd was the majority shareholder and REHOBOTH ENTERTAINMENT (NZ) LIMITED was the minority shareholder and whose director, Kieran Fitzsimmons was the onsite manager of the complex and who is also general manager of the Tony Tay Group. The two properties were transferred into the company (which was set up by the councils consultants who were acting in a less than transparent manner) as the councils shareholding, the properties were grouped into two titles. We have not gone to the expense of checking to see how the historic titles and current titles relate to each other or if land was” Lost” in this transaction . 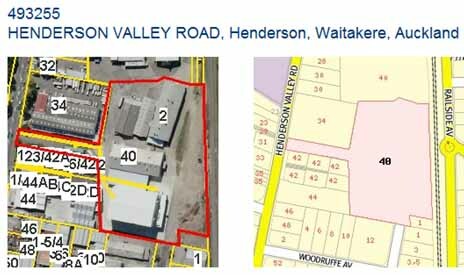 What is also strange is that on the land transfer files both the hickory property and the 40 Henderson valley road property are shown as 40 Henderson valley road but there is no rates valuation for this address. With the merging of councils the public asset has been transferred to Auckland city . The Auckland film This coincides with the time that Tony Tay film has been put into receivership by its shareholder Rehoboth claiming that it is owed 1.4 mil . While it is odd that a shareholder should lend money to the company and then place the company into receivership to get the loan back , It is also odd to look at the figures involved and see such massive discrepancies. This has to be questioned when public money is at risk and the share holder and the company are as intrinsically entwined as Mr Kieran Fitzsimmons is with the Tony Tay group. According to official council records ( page 95) the council values the complex in its entirety at about 10.975 Million and shows a loss of several million over the past few years. The rates valuation for the property is still shown as is 13 mil. 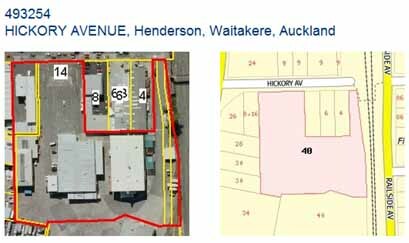 And this is for only part of the property other parts are shown as 10-14 Hickory ave but we have been unable to find a rating for the larger part of the property being 40 Henderson valley road. The Receivers First Report identify Tony Tay film assets as being in excess of 10 million . The only investment this company has is the 55.6% shareholding of the Auckland film studio which is now valued according to council as 10.975 Million . The only conclusion we can come to is that, while the public have suffered a loss in their investment the majority shareholders are being creative in clawing back as much as they can. We doubt if council will do an in-depth investigation into this as they are not big on due diligence. After all they can just ask the multitude to dig a bit deeper in their pockets and extract a few more rates dollars to cover the short fall. We predict that What will happen is that more public money will be poured into this venture we the rate payers will lose while the private investors who have been involved in the day by day operation of the facility look at maximising profit and minimising risk. And this wont be considered corrupt at all basically because there is not a single person who suffers a loss ( we all do ) there is no complainant and no one will be prepared to look at the more shady aspects of this receivership. how transparent is the super city ?